Do not build a cabinet carcase to fit exactly between two immovable walls. You might have to remove said carcase for some reason (such as leveling) and it’s just about impossible. Just sayin’. 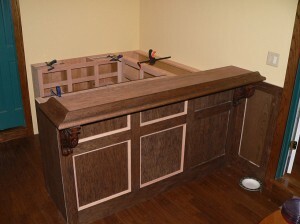 Work on the bar goes apace. I work on this thing almost every day, although not all day long. Piddle at it really. I will say one thing, I love, love, love, my Kreg pocket screw jig. I’ve made cabinets before, although a very long time ago, but those were traditional mortise and tenon. 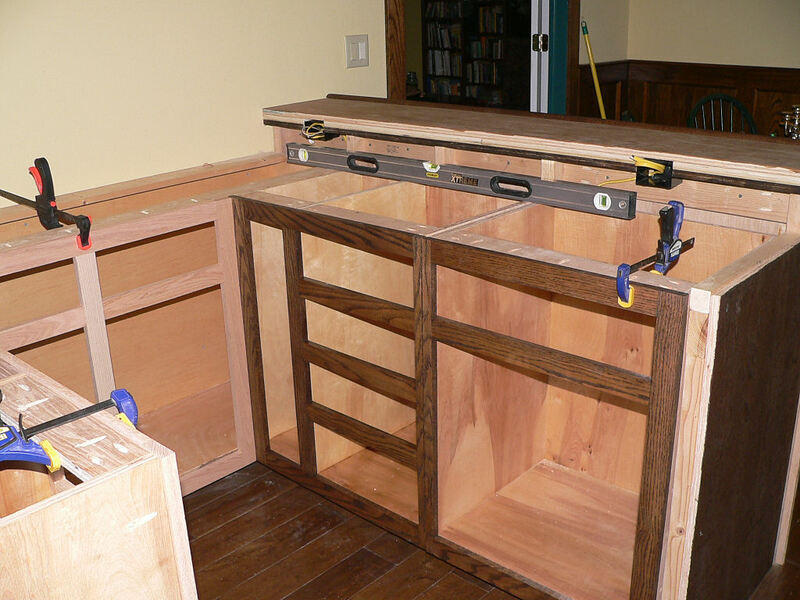 Not that I’m dissing that method you understand, but it’s more at home in fine woodworking rather than in a utilitarian cabinet. For that the pocket screw joinery is just fine, and about 110% faster. I can have the parts cut to fit and the frame put together in about an hour or less. It does wonders for my sanity. This is the area that’s actually behind the bar. 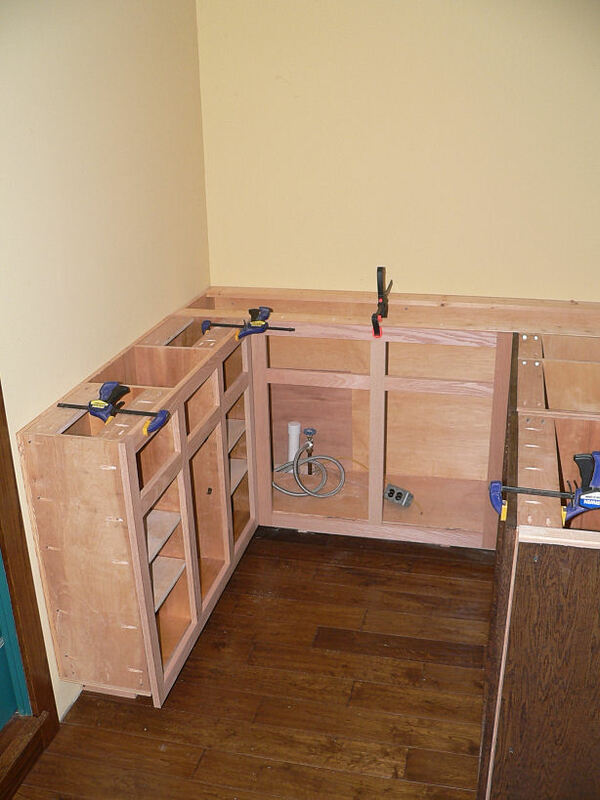 The little cabinet that will be below the “backbar” isn’t all that deep, and the shelves can’t be that far apart even being adjustable, but I think it’ll probably be enough room to store glasses perhaps. I’m sure I’ll find something to store there. The face frames haven’t been permanently attached here, I’m just trying them on for size, so to speak. 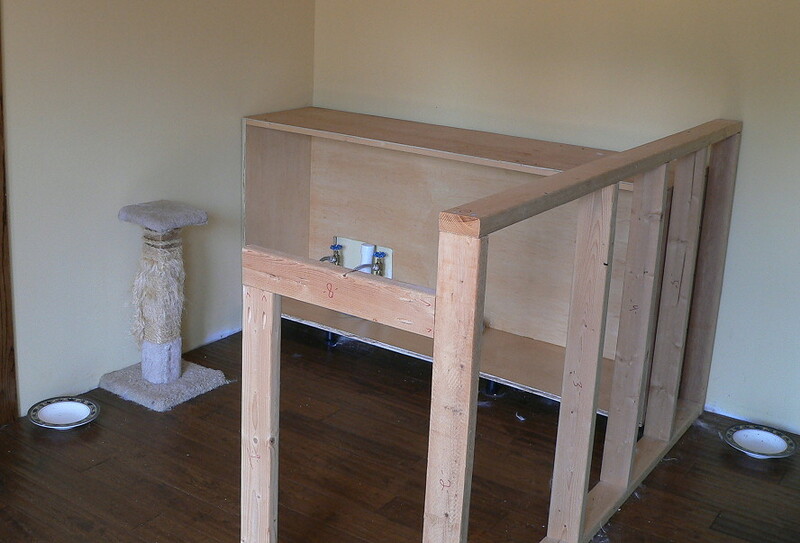 There’s going to be a counter outlet above that, along with two outlets on the right side just under the bar itself. I stained this bit to see what it’s going to look like. I’m pleased with it. 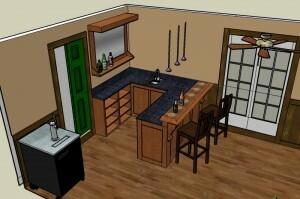 That’s actually two cabinets, I’ve designed it so that the end cabinet can be detached and pulled out at some future time should someone (not me!) wish to. 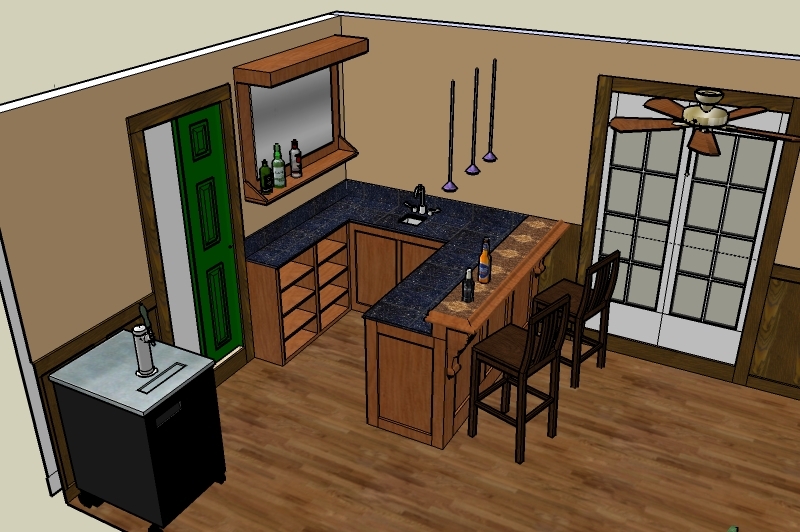 It’s sized so that an undercounter fridge or one of the smaller kegerators or wine fridges can fit the space.